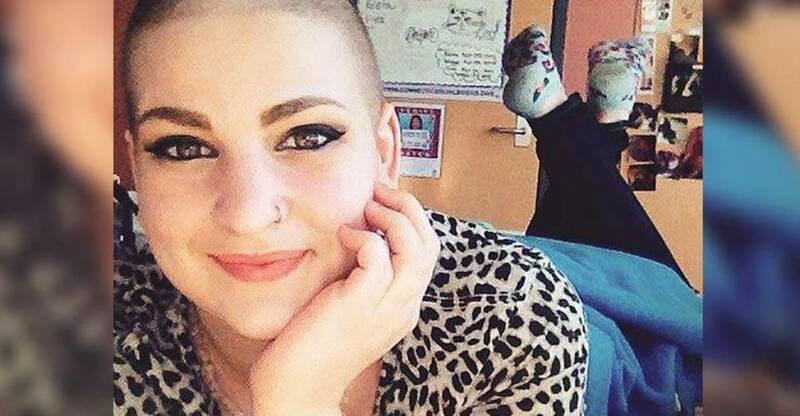 Hartford, CT — In September of last year, 17-year-old Cassandra C., received some horrible news. Doctors diagnosed her with Hodgkin lymphoma, in which cancer originates from white blood cells called lymphocytes. Worried about the chemo, Cassandra and her mother sought out a second opinion from Baystate Medical Center in Springfield. However, the doctors didn’t like this decision, so they contacted agents of the state to force Cassandra to do what they wanted her to do. In November, government agents from the Connecticut Department of Children and Families, kidnapped Cassandra and placed her in a foster home. She eventually agreed to chemo and was allowed to return home. However, after she found out that she would have to have surgery to implant the chemotherapy port in her chest, she ran away. “I felt like I had no other options,” she said. On Dec. 9, after she returned home, a Connecticut Superior Court judge granted DCF temporary custody of Cassandra, who was admitted to the hospital and forced to resume the chemotherapy. In January, the state Supreme Court ruled that kidnapping Cassandra, and forcing her to undergo medical treatment against her will, does not violate her rights. The court stated that she was not mature enough to make that decision for herself. Since January, Cassandra has been medically imprisoned by the state, “hoping beyond hope” that a judge would let her leave the hospital. However, on Wednesday, a judge ruled that the 17-year-old girl must be kept in state custody until they are finished forcefully medicating her against her will. To add insult to forced medication and kidnapping, the state refuses to let Cassandra see her mom. Cassandra has not been allowed to see nor speak to her mother since January 1. In the Land of the Free, a young woman can be taken from her family and forced to undergo medical procedures against her will. In the Land of the Free, the state can take your children and keep you from seeing them. In the Land of the Free, this is called Justice.